What Steps Should I Take Following an Auto Accident? There are several steps that should be taken following an auto accident in order to preserve your right to financial recovery for the damages you have suffered. Contact the police department and ask them to arrive at the location of the accident. Ask them to file a traffic accident report. Take down the information of the other drivers involved in the auto accident, including their insurance information, driver’s license, make and model of their vehicle, and license plate number. Take down the information of any witnesses to the accident. Ask them for their names, phone numbers, and place of residence. If seriously injured, contact the paramedics so that you can be safely transported to the emergency room. Do not speak with an insurance adjuster or any other individual from the insurance company regarding your accident. Any words and statements you make regarding the accident and the injuries you have suffered can and will be used against you to lower or eliminate your right to recovery under the law. Contact car accident lawyers in Los Angeles regarding your case. An attorney will be able to provide you the legal help you need in order to receive the compensation you legally deserve. All medical and health related costs – including the cost in rehabilitation care. All economic damages sustained – this can include loss or damage to your personal property, loss of earnings and future loss of income. Non-economic damages – this can include pain and suffering, post traumatic stress and mental anguish. Punitive damages – in some instances courts will award punitive damages when the at-fault party acted with either the intent to cause harm or reckless endangerment of others due to conduct. An example of reckless endangerment would be driving while under the influence of an intoxicating substance or driving at a high rate of speed. 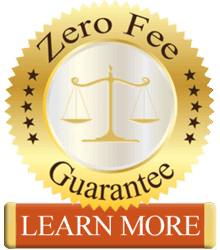 If you have any further legal questions feel free to contact our law offices. All case reviews and consultations regarding your claim are provided by our lawyers free of charge.